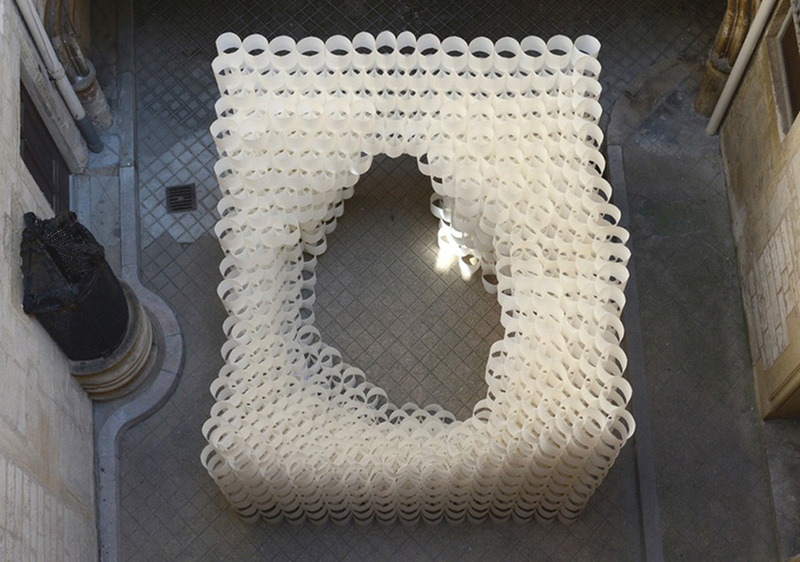 Can paper be used as a building material? 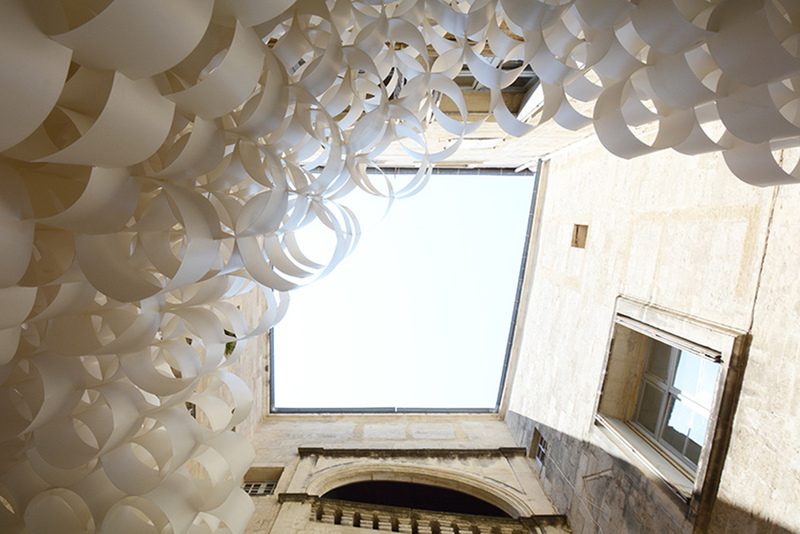 Studio 3A created a pavilion called ‘paper cloud’ for 2017 festival des architectures vives in Montpellier made of 2,000 pieces of laminated paper. 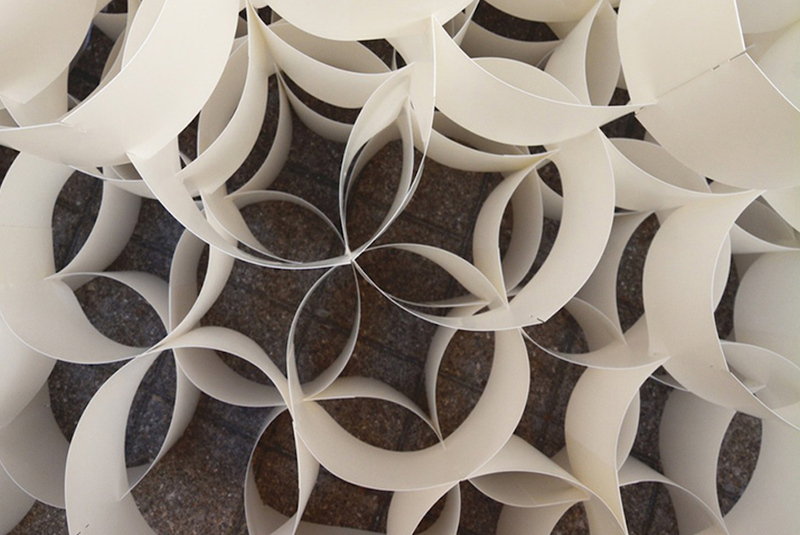 Designboom reported that the paper was formed into rings that slotted together to create the structure. No fasteners or glue were used. Studio 3A’s pavilion joins the work of architect Shigeru Ban who has created structures out of paper tubes, including the roof of the Camper store in Soho, NYC. 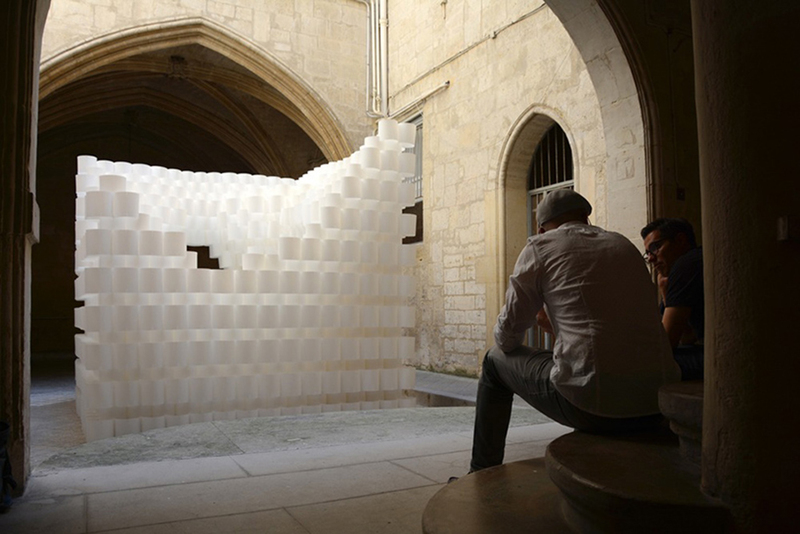 Molo is another example of a company that produces interior architecture paper structures. Their expanding wall product can define large spaces using a minimum of material. These examples represent a different tangent of thinking about architecture and spaces that are more transient and dynamic.